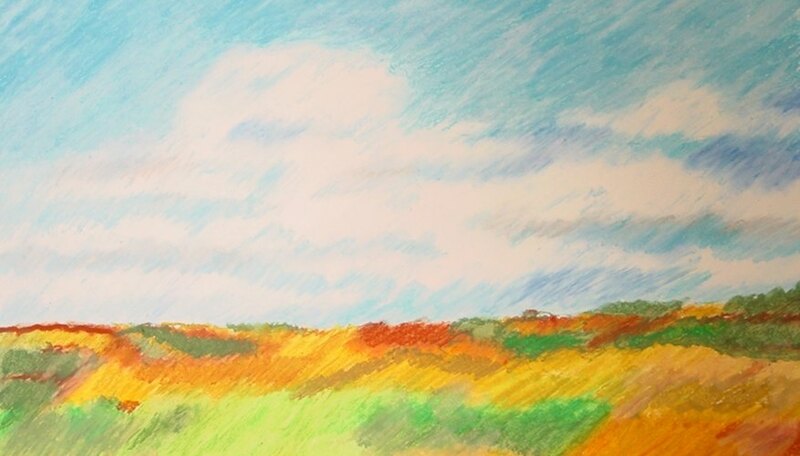 Oil pastels are the perfect medium to create simple but interesting landscapes. Layering the pastels over and over gives your pastel drawing a painterly quality. The bold bright colors make for delightful compositions. If you are unfamiliar with the medium, spend a few minutes warming up by drawing different quality lines with the edge of the pastel and different shapes by applying varying degrees of pressure. Practice blending with your finger or paper towel. Choose a reference photo that you have taken yourself or have permission to use. Beginners should choose very simple landscape with few objects in them. Think simple. Achieving detail with oil pastels is difficult, but when they are used with simple compositions, the nature of the medium compliments the composition. Notice where the horizon line is and lightly draw it on your paper. Most landscapes can be divided into two or three sections. Decide how many sections you see and break the composition up by lighly drawing any other dividing line the composition may have. Start with the sky and place a base layer of pastel on the section. 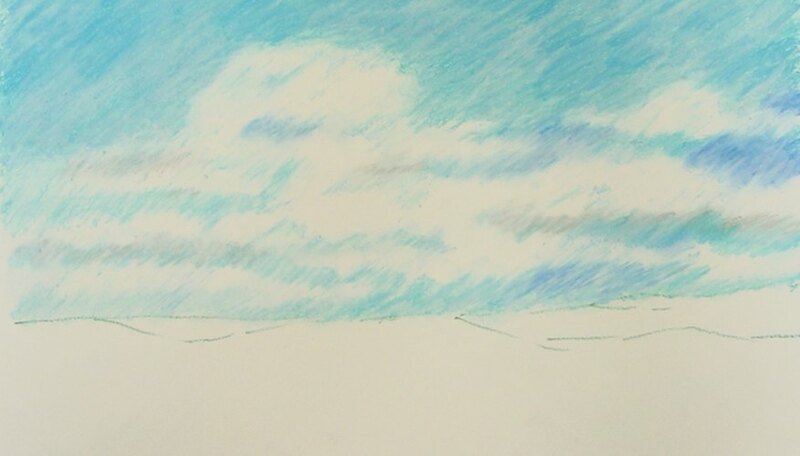 Notice the placement of the clouds, and leave them blank with white space. Blend the first layer. Add a second layer. Notice the different variations of color in the sky and reproduce that. Blend. Apply white pastels where the clouds are light and darker blues and grays on the under bellies of the clouds. Cover the cloud area with white pastel and overlap white onto other areas to blend the sky and make it look more like a painting. Repeat the above layering process in the next section if there is one. Add detail on top. Notice the breakup of the land in the photo. Carefully sketch out the basic shapes you see. Repeat the process of coloring in the shape, blending and adding layers of top color. As you layer and blend add more color and details. Instead of white, yellow or tan can be applied over top of shapes to blend and create a painterly effect. To make the piece work together carry over color from one section of the landscape to another as you build layers.